The production of honey in Lebanon remains a complementary activity for farmers and sometimes most like a hobby for ordinary individuals looking to occupy their down time or earn additional income. Although it is a very old profession, particularly in the mountains, yet beekeeping has never reached the level of a good seriously organized sector in Lebanon. Besides the lack of interest and attention from the authorities, the sector is subject to endemic natural crisis, lack of professionalism and has often to face a serrated economical situation and evolution. After a flourishing period that started in the mid 80’s, honey production today is witnessing a recurring endemic crisis. Despite the courage and perseverance of many beekeepers, their lack of resources hinders them from providing the necessary care to the bees. 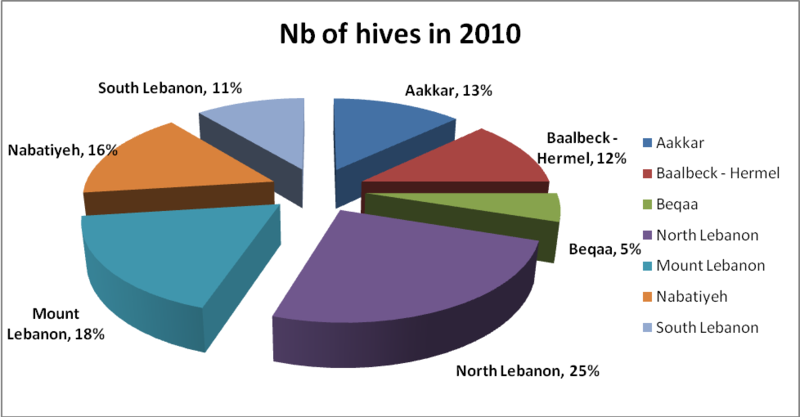 Today, there are between 5’600 and 6’000 beekeepers in Lebanon and 180’000 beehives that produce between 18’000 to 20’000 tons of honey per year, according to Saab Wehbe, president of Lebanon’s Beekeeper’s Association, citing 2011 statistics. “Most of what is produced overall is sold on the Lebanese market while 2% is exported to Arab countries and 3% to Japan”, he said, noting that the volume of honey produced and the number of hives fluctuates because of diseases that infect the bees. The impact and the effect of the crisis were felt on the yield of the bees. As a matter of fact, in 2012, the yield reached 4 kgs per hive in comparison to an average of 20 kgs worldwide. In 2012, only 80’000 beehives were exploited mainly due to the incriminated bacterium. The problem would be of more acuity in 2013, this time because of another bacteria, the varroase, that is responsible for the collapse of bee colonies in the world. Nevertheless, Beekeeping can always represent an attractive and lucrative niche for those who provide care and attention to their bee colonies and hives. A beekeeping farm can help an individual or a family secure a decent life profitable to a certain extent. One must not forget the by-products manufactured or extracted from honey and used as mild medicines, beauty creams, or soap and shampoos. 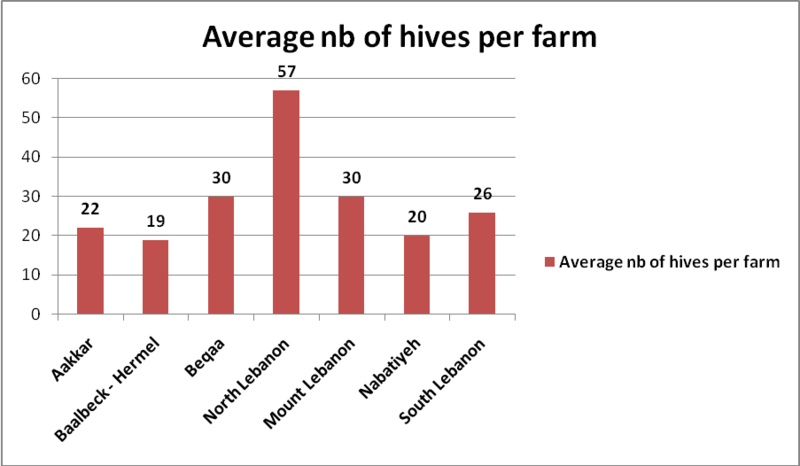 As long as Lebanon enjoys fertile soil and natural green spaces, and as long as bees can gather pollens, honey will increase and the sector will flourish.